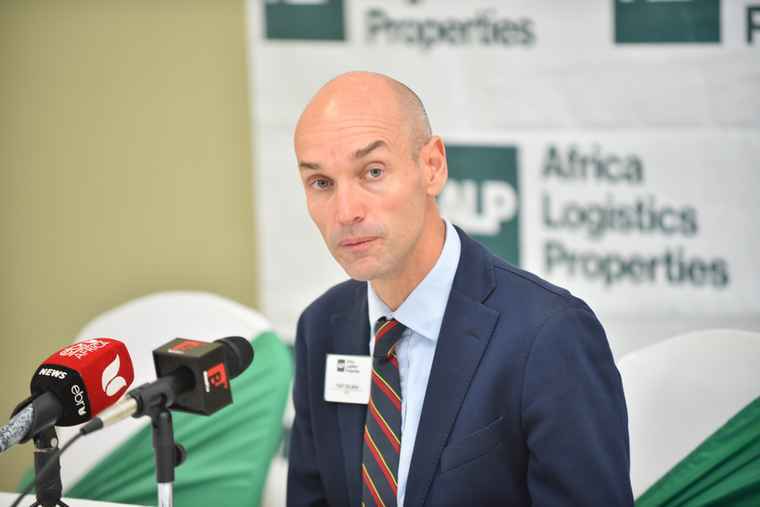 Toby Selman, CEO of Africa Logistics Properties during the launch of ALP's North Industrial Park. Africa Logistics Properties has launched its first 49 000 square meter modern grade-A warehousing at ALP North Industrial Park. 75% of the facility is pre-leased. The demand for grade-A warehousing currently far exceeds supply in the country with warehouse users reporting that finding suitable facilities impossible, according to recent research by Tilisi Developments. The shortage contrasts sharply with overbuild in some other real estate segments. The oversupply of commercial space in Nairobi reached 4.7 million square feet in 2017, while retail space oversupply reached 3.7 million square feet. Meanwhile, the supply of mall space rose 41.6 per cent last year, even as demand stagnated. As a result, according to Knight Frank’s 2018 Kenya Market Update report, the occupancy rate for new retail centres is now running at between 60 and 75 per cent. 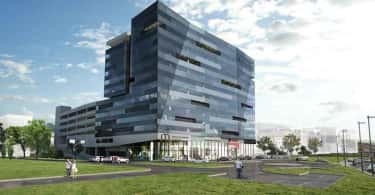 This shifting balance of supply and demand has also changed relative investment yields, with commercial and retail yields falling from 11 per cent three years ago to eight per cent by 2017, while residential property yields are now running at 5.6 per cent. This has moved warehousing yields to pole position within real estate, at 8.5 per cent. “The proportion of pre-leasing has also been driven by the quality of the warehousing, which just does not exist elsewhere in Kenya and East Africa at the moment,” said Selman. That scarcity has driven far higher pre-leasing by Africa Logistics Properties in Nairobi than is normal elsewhere. 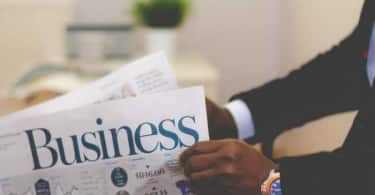 In the US, the pre-lease rate recently rose to 43 per cent from a 17-year running average of 38 per cent, according to a recent report by CBRE, a global leader in real estate services. However, Africa Logistic Properties’ distribution hubs have brought international design practices that now sharply boost efficiency and productivity. For instance, the new warehousing offers pallet stacking 12 metres high, instead of the four metres offered by others in the market, as well as large column grids of 12 meters by 24 meters, which results in denser storage capacity and reduces the cost per pallet by up to 30 per cent. The site also incorporates laser-levelled floors with anti-scratch coating that bear up to 10 tonnes. These allow the incorporation of automation systems, such as dock levelers, mechanized loading conveyors, and fork-lift-mechanized loading, cranes and loading platforms, which together improve turn-around time and cut labour by up to 76 per cent. Traffic management flows also facilitate quicker turnaround times for trucks and deliveries, and the warehousing offers improved healthy and safety measures, firefighting systems with sprinklers, fibre optic telecommunications, and solar panels on rooftops for greater energy efficiency. Located on the key peripheral routes connecting Kenya’s largest airport, JKIA, to the main transport corridors from Kenya to Uganda and Rwanda, “Africa Logistics Properties’ strategic positioning further increases distribution and supply chain efficiencies,” said Selman.